Welcome back to the blog space for Transworld Tile! Our last blog post touched on some of the ways that we believe are quick and easy ways for you to enhance the feel of your bathroom, without having to pay for a full renovation. 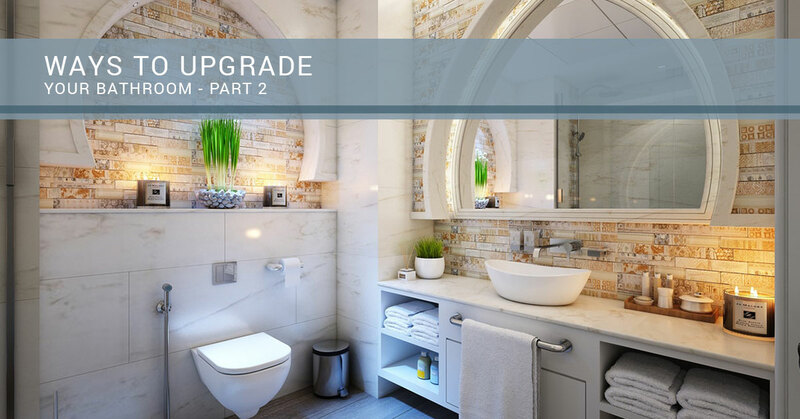 Check out our last blog post to see some of the first things that we’ve mentioned, but let’s get started on covering the rest of the ways that you can quickly update your bathroom. If you have a hard time really getting things organized in your bathroom, something that could help but also contribute to the overall aesthetic of your bathroom could be additional shelving. There are so many different ways that people incorporate this, and the location that works is going to vary from bathroom to bathroom. This addition is something that can add texture to the walls, add additional storage, and really enhance the way that people look at your bathroom. We’ve seen this look incorporated into many bathrooms, more often than not it’s in a rustic fashion but we’ve also seen int incorporated into so many different types of styles that it really does work for so many looks and functions. What’s great is that they are super easy to move, can be made from so many different types of materials, and they are extremely easy to have installed. Bathroom tile doesn’t stop within the tub. In fact, bathroom tile is also inclusive of the tile that you find on the floors of the bathroom, which is another great opportunity to improve the look of your bathroom without investing too much. Since there are so many different types of tile that you can choose from, this is a fantastic time to really create a space that is unique to you and the taste that you have. 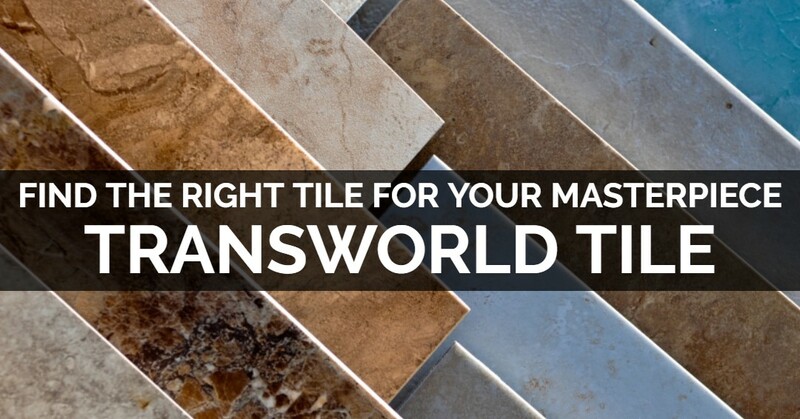 Transworld Tile makes it easy to find a tile design or color that you like so that you can go through a project that will drastically change the appearance of your bathroom. What’s great is that so often the floor of the bathroom is something that makes a difference, so if you do have tiles that are cracked or look bad, this is one project that alone will make a huge difference to the space. This isn’t always going to be something that homeowners will have to do, but there are still many homes that have outdated toilets that can really take away from the vibe of the bathroom. If you do have a toilet that is a different color or that looks old or dirty, this could be one of the best parts of your bathroom to take advantage of. Again, a toilet is a main point of attraction, even when we don’t want it to be. If the toilet that people are seeing is outdated, taking this one out and putting a new toilet in can be a major way to make the look of your bathroom immediately cleaner, crisper and a little bit more updated. Similar to the way that updating your sink can have long-term benefits, adding a new sink to your bathroom is something that will look better in the long run but will also last for years to come, so it’s something that’s entirely worth it. If you’re ready to get your project started, contact our team of professionals today and we will go ahead and get you started. A member of our team will reach out to you and help you really take advantage of the supplies and experience that we have. As always, make sure to keep up with our blog space as we’ll be adding more and more blog posts that cover topics just like this, that allow for you to enhance the look of your home and provide you with a space that you’re in love with. Check them out and discover various other ways that you can use tiles throughout your home!